They say the smallest places have the greatest stories in a way which media didn’t cover them quite well. Hidden gems don’t always include amazing views of seaside, big mountains, or amazing nature features. What you’re about to see and feel are segments between fear and love which embrace the city where people followed their dreams, not knowing they’re being a big part of Ex-Yugoslavian history. Among many Communist places, in the time of Josip Broz Tito, were built monuments considered as if they come from the future. Prishtina still preserves the urban fabric and lifestyle from that time. The impact of this tour is to celebrate the former power of the world, YUGOSLAVIA, the Grand Hotel. 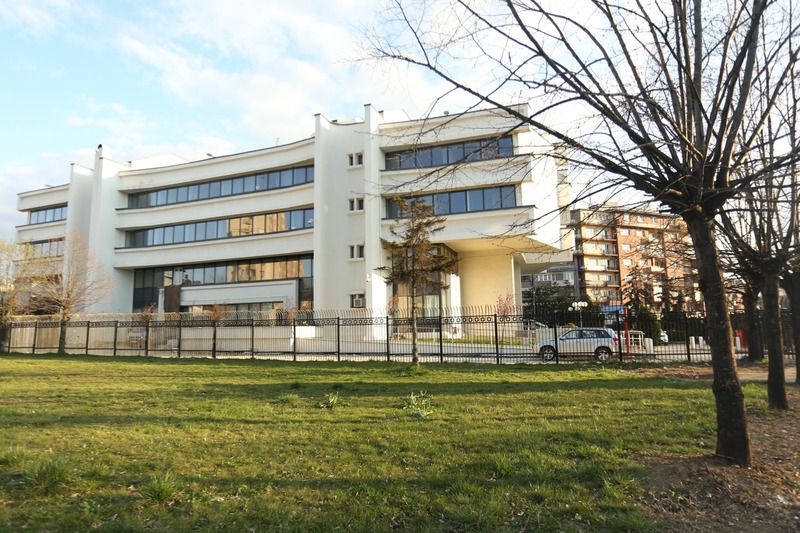 In front of this huge building, you will have the opportunity to embrace the buildings which were funded from the community to honor their collective memory in times of trouble, former Boro and Ramiz building, now Palace of Youth and Sports and the magazine warehouse Rilindja. Also discover the controversial relation between two communities living at that time embraced in a single futuristic monument, called the Brotherhood. 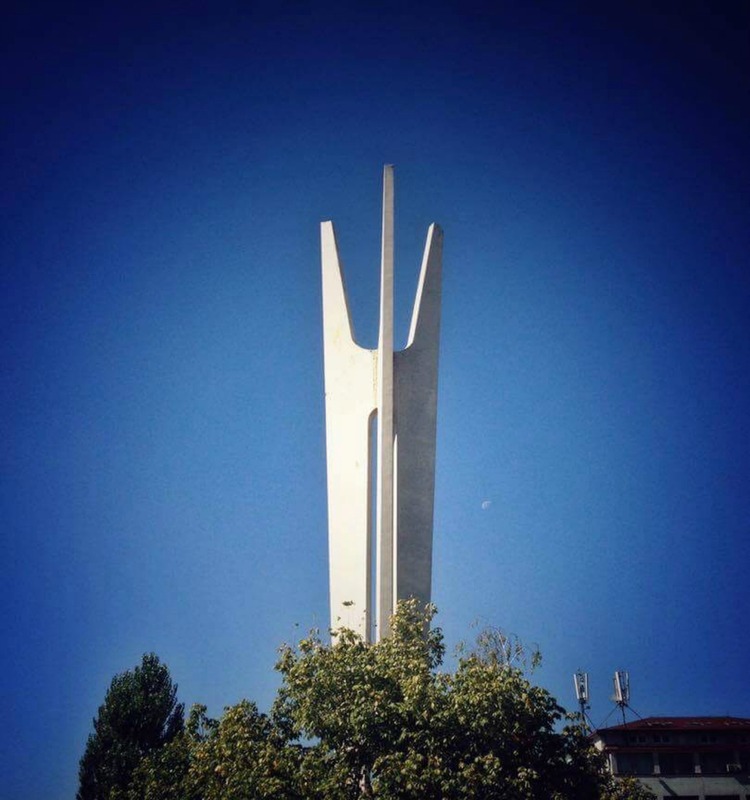 Experience the communism landmarks: The Brotherhood monument, Rilindja building, Central Bank. Get in the National Library and see the floor of the hall with a unique work of diverse mosaic marble stone and the hall’s high ceiling, which provides ample natural lighting. Visit the best preserved architectural building, considered as a Dragon structure by the famous German magazine Spiegel, Boro and Ramiz, now the so-called the Palace of Youth and Sports. Learn about the obstacles of collective memory which still are a true inspiration for new generations. Group size: Minimum people required: 5, Maximum people: 20. 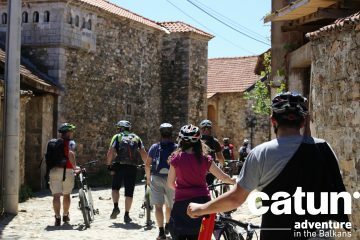 Private tour is 80 Euro! 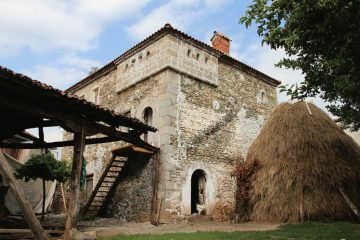 Orgesa is a photographer and videographer from Pristina with a passion on storytelling and documentaries. 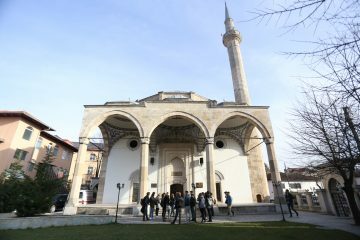 After finishing high school at Pristina’s Sami Frasheri Gymnasium, she continued studying Marketing at the University of Pristina. While pursuing her studies, Orgesa participated in numerous projects as a photographer, with her first pictures being exhibited in New York in 2008 at Albanian Women Exposed and later on in 2011 in Face The Reflection, a collaboration of artists from Pristina and Belgrade. Prior to working at CHwB, Orgesa has worked for local Production companies (Koperativa, 2B, Ikone Studio) as a Casting Director, Social Media Manager and as a Photographer for Prishtina Film Festival and Skena Up. Currently she is the Leader of Communications and Multimedia Component in CHwB Kosova. She is also the initiator of CHwB’s campaign #KtheKryte. She enjoys developing documentaries and stories showing the positive and negative aspects of Kosovo. We consider that behind every city’s history there has something to do with political condition, which will change a big part of it’s urban fabric. 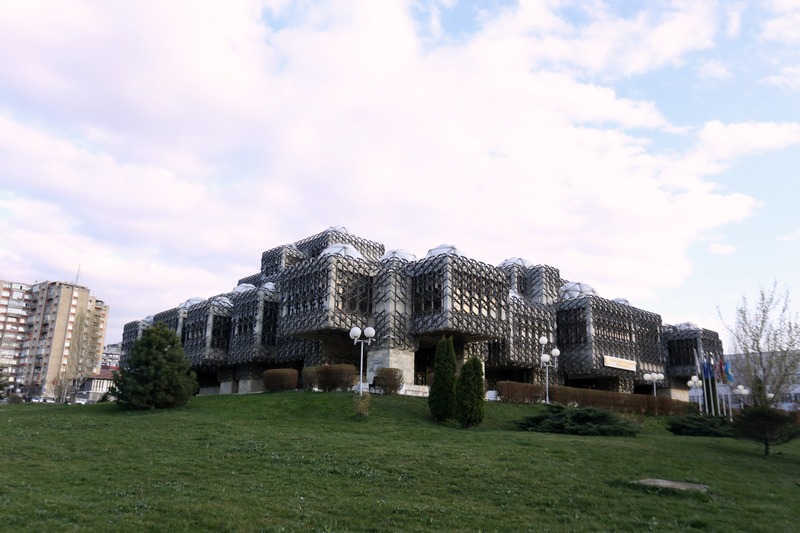 Because of that, this tour will start in the center of the city, at the National Library of Prishtina, a significant building which is known for its unique history, and the style of the building designed by Croatian architect Andrija Mutnjaković, followed by controversies about the outside appearance of it. 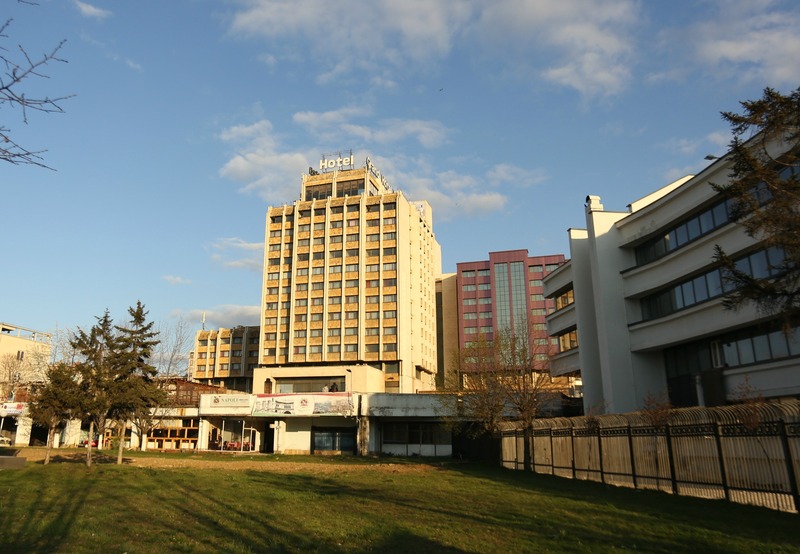 The next destination is the Grand Hotel Prishtina, where you will learn about the architecture and impact in our community. Just around the corner we will see other brutalist architecture buildings like the Central Bank and Boro and Ramiz. 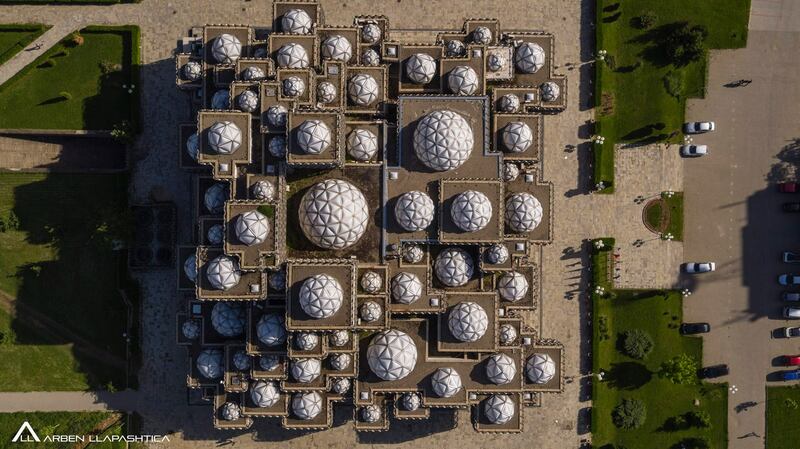 The Palace of Youth and Sports, once called Boro and Ramiz plays a significant part in the city’s identity. Starting from the Plateau, you will learn about the collective memory told by oral history. Boza, indianka, stracatella and other famous treats will be available to taste in one of the oldest sweet shops that still exist within this building. With three minutes walking distance you will also pay a visit to the warehouse where the oldest magazines where once printed and see old pictures of the content and design which these days are a huge inspiration for new artists. The tour will end at the one of the biggest landmarks of the city, the futuristic monument called Brotherhood, marking the identity of Boro and Ramiz history.